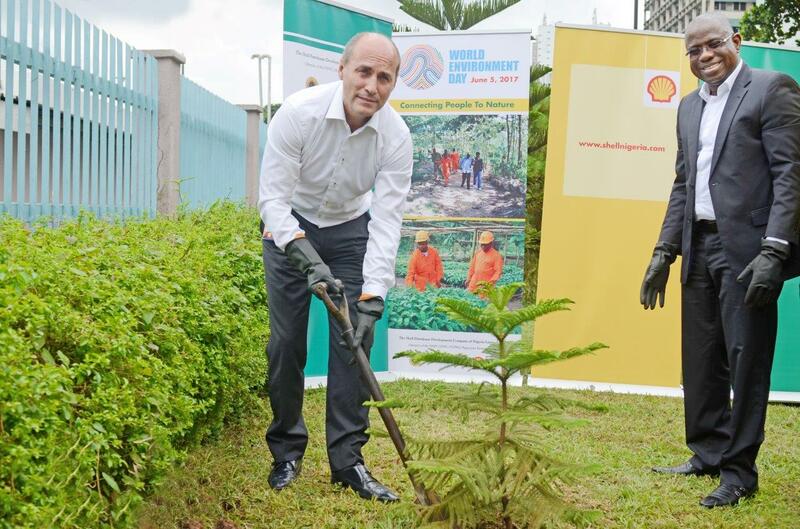 The Shell Nigeria and Shell Nigeria Exploration and Production Company Limited (SNEPCo), Monday joined in the commemoration of the World Environment Day 2017, reports NaijaAgroNet. The ceremony which held in Lagos, saw the management team of SNEPCo planting trees to commemorate the day. NaijaAgroNet gathered that the Vice President Shell Nigeria and Gabon, Peter Costello and Managing Director, Shell Nigeria Exploration and Production Company Limited (SNEPCo), Bayo Ojulari, used the occasion to plant a tree at the Marina area of Lagos. Further, NaijaAgroNet recalls that since the first celebration in 1974, the World Environment Day has helped the United Nations Environment Programme (UNEP) to raise awareness and generate political momentum around growing concerns such as the depletion of the ozone layer, toxic chemicals, desertification and global warming. The Day has developed into a global platform for taking action on urgent environmental issues. Millions of people have taken part over the years, helping drive change in our consumption habits, as well as in national and international environmental policy. Pix: From left: Vice President Shell Nigeria and Gabon, Peter Costello and Managing Director, Shell Nigeria Exploration and Production Company Limited (SNEPCo), Bayo Ojulari, plant a tree at the Marina area of Lagos in commemoration of World Environment Day on June 5.